We love a good shopping secret, especially one that helps us dress smarter. We love it even more if that means we get our hands on stuff that no one else has. While we might have exhausted all of the drops in Zara this season (joke! ), there is one section of the shop we were completely forgetting about—menswear. Yes, that's right there are super-covetable pieces in the boy's section of the store too. Don't look so surprised—haven't you ever thought that your boyfriend's jumpers look far better on you? Well then, now's the time to start buying in their department. To help, we've had a look through the high-street stalwart's range to cherry-pick the items you might (will) want to buy for the upcoming autumn season. From chunky knits that are calling out to be worn over a pair of skinny jeans and ankle boots to a super-elegant man-clutch that will double up as a tablet holder. There's even a roll-neck that defines the epitome of androgynous-cool style and a bag that you can share with your manfriend—if you're feeling generous. Click through the gallery below for our pick of the best pieces in the menswear section of Zara. 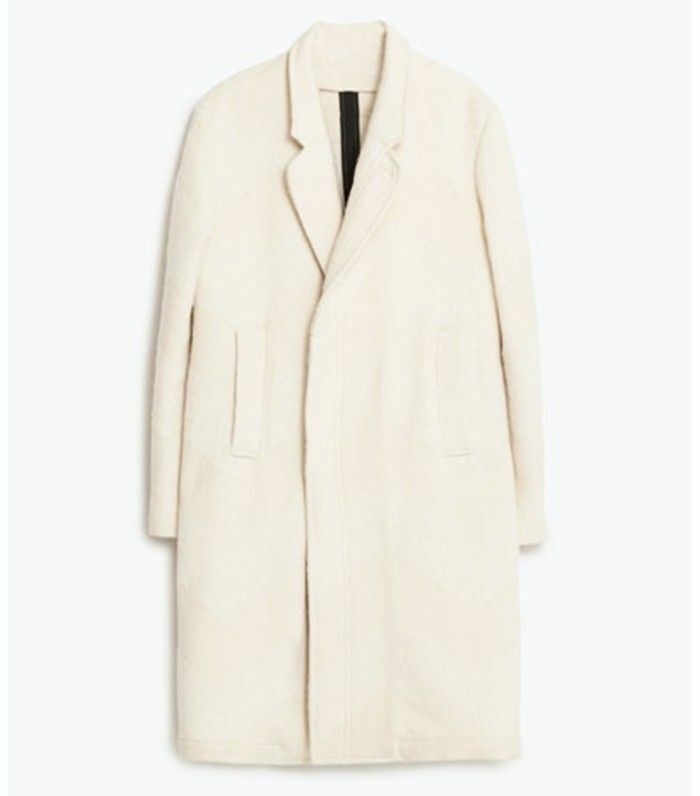 An oversize coat will go perfectly with your frayed-hem jeans. This is a truly versatile piece. Use it as a tablet holder during the day and as a clutch bag at night. Bad hair day? We got you. Hurry up cold weather so we can wear this, stat. This will be in your wardrobe forever. This is what we'd call a Sunday brunch bag. We're having a cardigan revival right now. Everyone's wearing a band tee right now. Make yours a classic. Take a tip from our style crush Maja Wyh and wear yours with an oversize jumper underneath. Wear loose with flat sandals or white trainers. Wear with a pair of loose black tuxedo trousers. What's your best-kept shopping secret? Tell us in the comments!